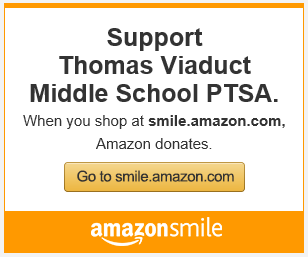 Support TVMS PTSA with our biggest fundraiser of the year! TIME: Doors open at 6pm. Games start at 6:30pm. $5 for entry which includes one bidding paddle purchased in advance. $7 for a paddle when purchased at the door. ** Every person attending the event must have an entry ticket. How many paddles do you want? Due to limited seating, everyone entering must purchase a paddle. A Quarter Auction is a fun and fast-paced evening where you bid 1-4 quarters to win a variety of items. Read a detailed breakdown of how a Quarter Auction works here. How do I pre-order paddles? You can pre-order paddles right from this website via Paypal. See above. Do I have to pre-order? Pre-ordering is not required, however we do have a limited number of spaces available on a first-come, first-served basis. Plus, we offer a discount on pre-orders. Why should I buy more than one paddle? By having more than one paddle, you can put multiple bids in for items you really want. That gives you more chances to win! You must put in quarters for each paddle you raise. You do not have to raise all of your paddles, however only the numbers on the paddles you raise are eligible to win an item. We will have food available for sale. (menu coming soon) NO ALCOHOL as this is a school event. What are the items available for bidding? We will update our list of prizes as time goes on. Will I need to bring quarters? We will have quarters on site, but you are encouraged to bring your own. What if I run out of quarters? We will have quarters on site to cash out for bills if needed. Absolutely! Your donation would be greatly appreciated and we will, in return, advertise your company, home business, and/or family in our event program, as one of our gracious sponsors. Any business cards and advertisement flyers provided to the PTSA will also be available at the Quarter Auction to advertise your business. Business Owners: Merchandise, services, gift certificates, and sponsorships. Teachers: Can you provide student experiences for us to auction off? Families and Staff: Sponsor a themed basket or donate unused/unwanted gift cards. Season Ticket Holders: Consider donating tickets for a play or sporting event you are unable to attend. Contact the PTSA at tvmsptsapresident@gmail.com for more information. For tax purposes, we are a 501c3 organization and our EIN is: 47-1586574. We appreciate your consideration and thank you, in advance, for any support you are able to provide.